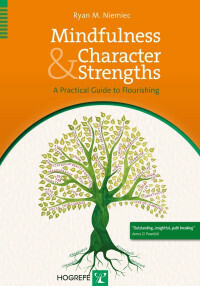 Education Director of the VIA Institute on Character, a nonprofit organization in Cincinnati, Ohio that is viewed as the global leader in advancing the science and practice of character strengths. 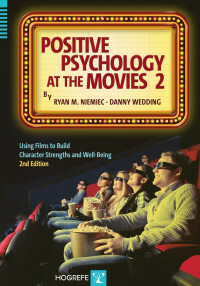 Ryan is author of several books, including Mindfulness and Character Strengths: A Practical Guide to Flourishing, and coauthor of Positive Psychology at the Movies; and Movies and Mental Illness. Ryan is an award-winning psychologist, certified coach, international workshop leader, IPPA Fellow 2017, and is adjunct professor at Xavier University, University of Pennsylvania, and a visiting lecturer at several other institutions. 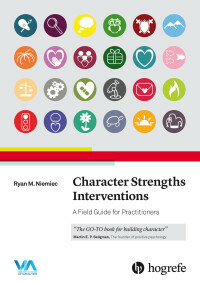 Ryan Niemiec, the author of Character Strengths Interventions and Mindfulness and Character Strengths: A Practical Guide to Flourishing and Education Director of the VIA Institute on Character, shares his experiences at the ECPP 2018 in this interview with Lisa Bennett from Hogrefe Publishing. Ryan was a keynote speaker at this conference, talking about integrating the hot topics of positive psychology, mindfulness and character strengths, and he also held a one-day workshop for the first time with Itai Ivtzan (author of Second Wave Positive Psychology: Embracing the Dark Side of Life).